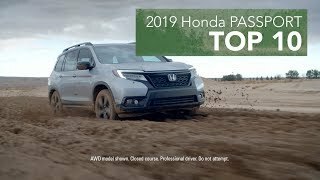 Visit www.smailhonda.com/searchnew.aspx?Year=2019&Model=Passport for available Passports, or check out www.smailhonda.com/blogs/2515/adventure-ready-2019-honda-passport-launches-into-dealers/ for more info! Does Angelique ball by any chance? I had to rewind over and over again to hear her say "Butten"! LOL! That's great to hear, Wayne. So do we! This young woman has done the BEST walk around on this car yet! Very informative and to the point! Great job! Wow, thanks for your feedback! We're always happy to hear when viewers enjoy our videos! Love your voice. Pleasant to listen to. U have good pacing and smooth delivery. Nice job! Loved the size of this vehicle, unfortunately the dark cave like intererior ruined it all!! I had to go with the Ford Explorer. They need to lighten the inside, offer two toned and this would have been a big hit. 2 years in a row, Ford Explorer is killing them. Anything GM made, especially Ford never killed any competition, especially not over a Japanese brand. I owned a Ford and the only thing it broke was my wallet. The fords I drove are all soulless and equivalent to driving a shoebox. But I am happy for you... although I’d never chose a Ford over any Japanese brand. Hell, I’d probably buy a Hyundai over Ford. Thanks for your input! It all comes down to personal preference. 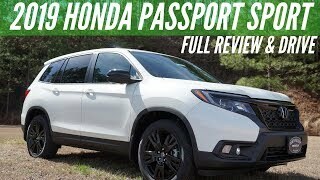 Since the Passport is made for the outdoors, many people want a darker interior, as a tan or lighter interior would get dirty much faster! Great review. 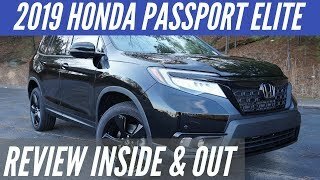 I really like this new Passport and have been watching alot of reviews. This is one of the best! Wow, thanks! We're glad you checked it out! 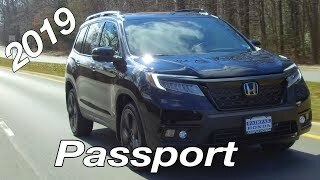 The Passport needs to get rid of the glossy black plastic trim (fingerprint and dust magnet) and put in matte wood grain plastic trim ... or even real wood trim. 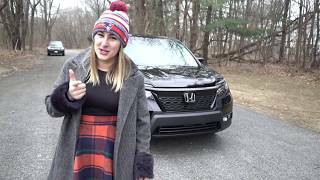 Angelique, your car reviews are outstanding. 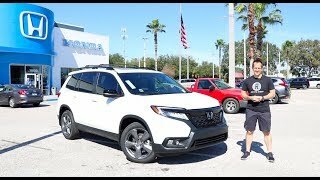 Please start your own 🙏 YouTube car review business. The camera person is just as outstanding in capturing all the right camera angles making sure no one is unpleasantly captured on camera and great job in the editing room. But I think what is really refreshing is your style of delivery. It's authentic in a way that is familiar to the listener because you package all that info into a presentation that feels like a private conversation among friends. Your gestures and nonverbal communication style is authentic. But at the end of the day it's the car information that your trying to convey to the viewership. Your deliver the info with confidence and poise. Never stumbling looking or looking for words. The information just flows from you that tells the listener you have done your homework and is prepared for the review. 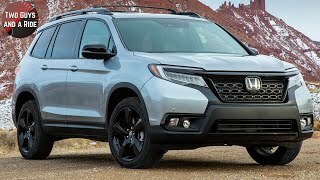 As for the Honda passport, I am really glad they brought it back and I really like the sporty looks over much of the competition. 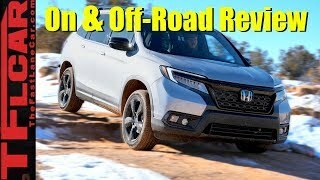 With all the safety features along with the off-road features i definitely have this near the top of my purchase list. I like the Telluride but I'm not familiar with KIA as a brand. 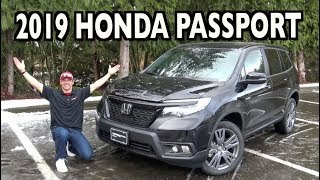 I currently have an Accord as 1 of my vehicles already, so the passport is easy to consider. All in all, you are bringing a new and exciting voice and style to the table, and I hope you capitalize on your gifts and hard work. Thanks for the review. Great presenter. Thanks for watching, Paul! Glad you liked it! Very well presented.Got all the information about passport. Thank you, and thanks for watching! I don't know about those sunscreens keeping out bugs, especially with the gaps all around it LOL..
Lol, hey it's better than nothing! Yes! 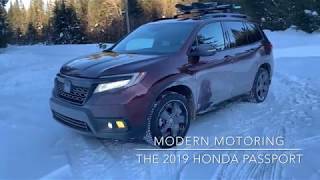 AWD is available on all trim levels! Nicely done. I bought several cars from Smail and they are great to deal with. This new Passport looks like a winner. Thanks for watching, Tim! And thanks for choosing Smail! It's always nice to hear that our customers enjoy these videos. Why I’m the hell do car manufacturers continue to add car stop technology??????? NO ONE LIKES THEM! YES, you might save a little on gas but guess what, you’re messing up your engine. Excellent! 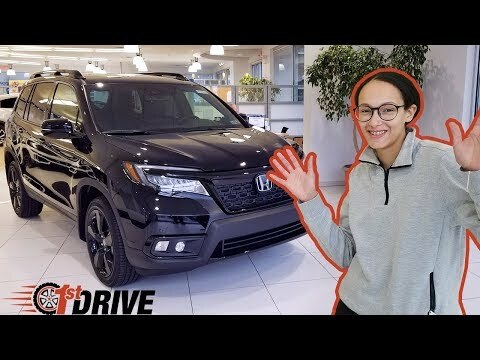 I’m going to see this vehicule at the dealership. Awesome, we hope you love it as much as we do! Believe the larger H emblem in front is that way to house the driver safety sensors for those features too. Nice ride. You're correct! Thanks for watching Ernie! 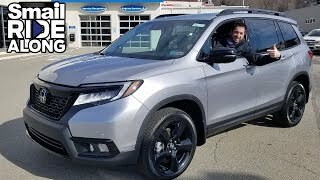 +Smail Honda I exchange my 2016 Honda Pilot EXL and got a 2019 Honda Passport EXL 2 weeks ago.. 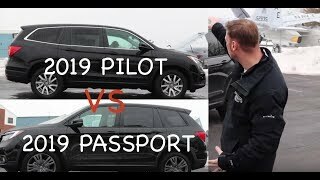 I Notice on the screen that the Compass (directions NSEW) which you can see on the screen display of the 2016 Pilot , you don't see it in the new Passport screen display.. I was just wandering!! 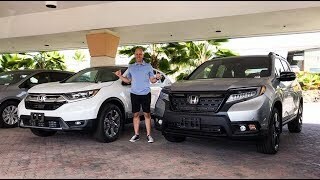 Rene, we're happy to answer your questions about the new Honda Passport! Can you please specify what you're referring to? It doesn’t. I saw dealers selling this for 39k. It’s brand new and more off-road so maybe that’s why. 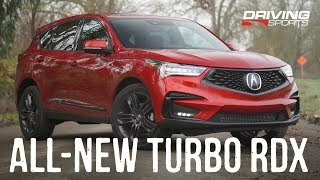 I am not sure if the Pilot has the same AWD system, but this thing has the same system as Acura’s SHAWD which is one of the best AWD systems in the world. 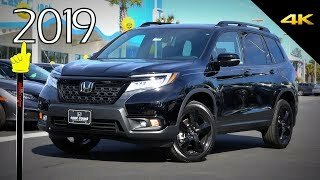 why would Honda create such an amazing car just to be AWD? what a waste of talent... 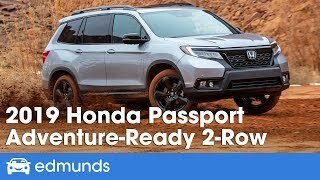 The passport should be 4x4. 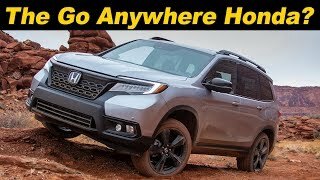 Admittedly the Passport is not designed to be a dedicated rock crawler or serious off-road vehicle, but the AWD is more than capable of handling some trails on weekend adventures. Hopefully you get your hands on one! There is no manual shift mode? I use this when descending snow covered road from ski area. Better to run in 3rd speed so you do not have to ride brakes. Being able to use engine and transmission to break on downhill is a valuable tool. 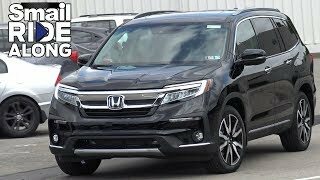 I thought this was an off road capable SUV. Anybody our there already but one?? Wow. Excellent review, very thorough and very informative, great job. Keep up the good work Angelique. Thank you Torry! And thanks for watching! 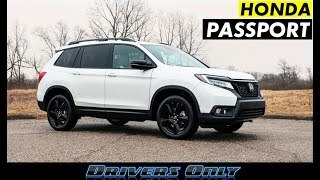 2019 Honda Passport Sport - Full Review & Drive!